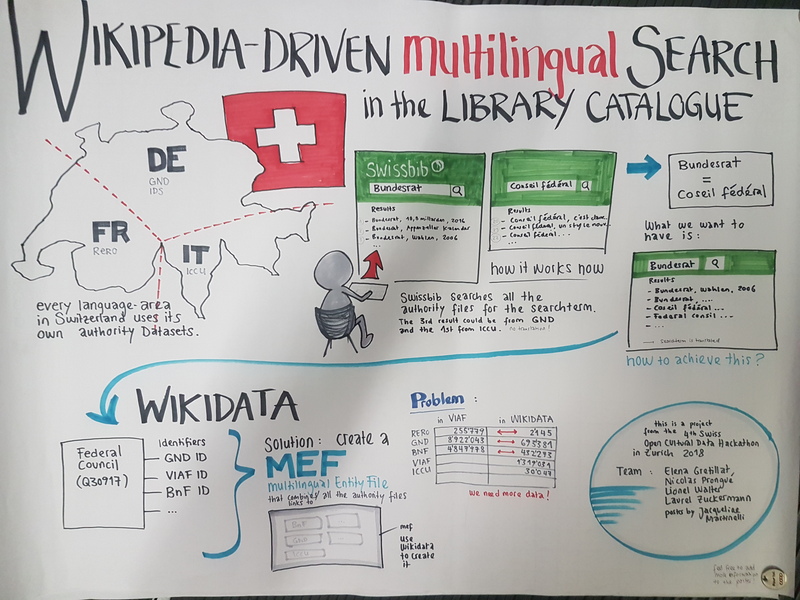 In Switzerland each linguistic region is working with different authority files for authors and organizations, situation which brings difficulties for the end user when he is doing a search. Goal: work on a innovative solution as the library landscape search platforms will change in next years. Possible solution: Multilingual Entity File which links to GND, BnF, ICCU Authority files and Wikidata to bring end user information about authors in the language he wants. This project was started during the Swiss Open Cultural Hackathon 2018. Results and extensive description. Feel free to contact us during the hackathon if you need help : lionel.walter@unibas.ch, 061 207 56 87, we will be happy to help you.